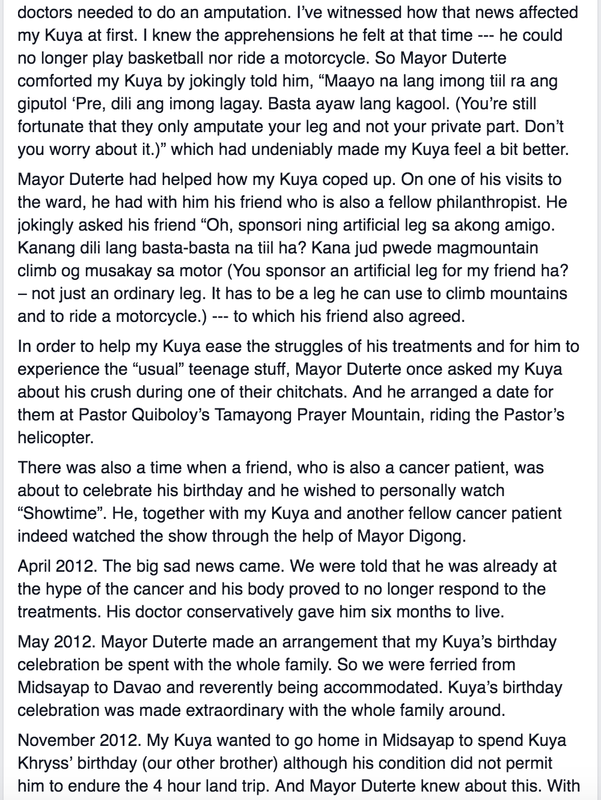 READ: Mayor Duterte's Untold Story Revealed! SHOCKING! It's just a few days before the election and it's high time for us to research about the candidates further, especially those who are running in the presidential race. It is truly not enough to believe what's written on social media. Here are many untold stories that need to be unfolded. We have been bombarded with many different stories, of course a lot of negative, about certain candidates and their allegedly concealed wealth, citizenship issues and a lot more. 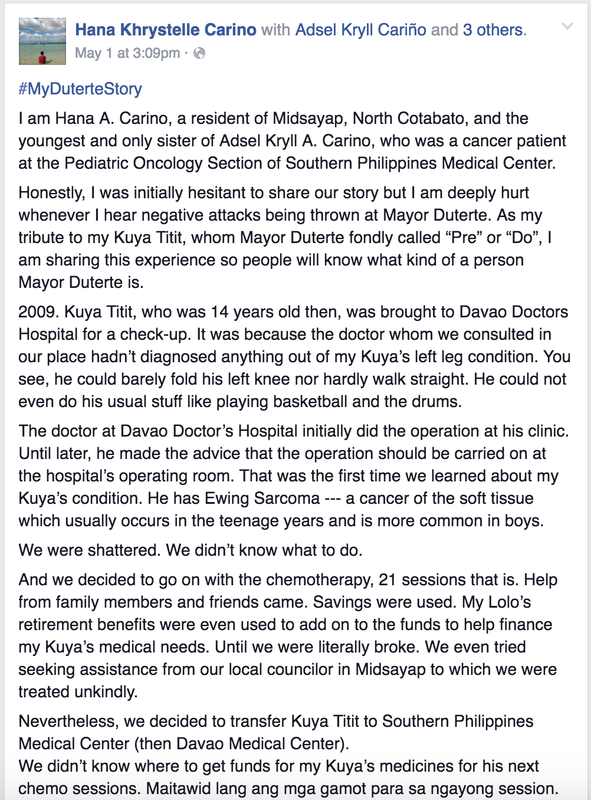 But unlike the others, this post that has been viral online is talking about an experience that changed the life of a simple Filipino. 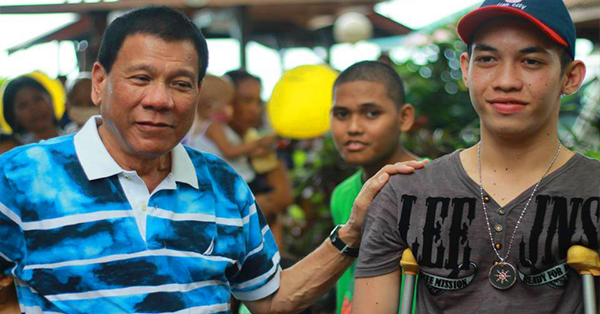 Hana Khystelle Carino shared one untold story about the benevolent deed of Mayor Rodrigo Duterte, who is the most resounding to win among the presidential candidates. Her story is extremely heart-melting. Read the screenshot below and it's up to you to decide. 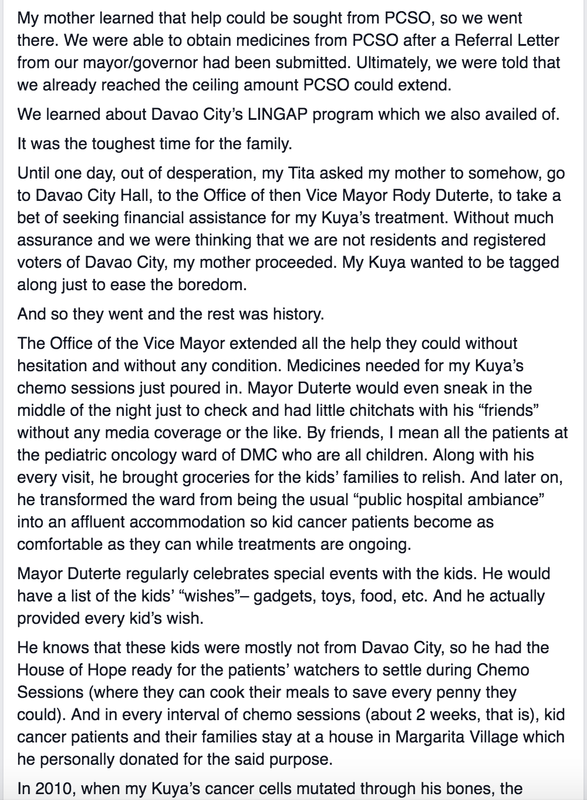 Teary eyes.. salamat mayor.. ur such an inspiration to many..kasama mo kami sa labang ito.. di ka namin iiwan...Godbless you mayor..
akorinmay experience na naranasan sa paka mabutng tao ni |Duterte, maliit lang pero andoon ang tatak ng taongmay panunawa, pagmamahahal sa kapwakahit hindi ka niya kilala personally pumunta siya sa amin at nagbgay ng tulong, walang maraming salita kase sabi niya hindi mabusog ang taong florwery words, pero sinabi niya kailangan ikaw mismo ang magdecide kung ano at saan mogusto, tutuong lang ang nasa gobyerno kung ano ang ikauti ng marami . You cannot just judge a book on its cover you have to open it and read its content. That's president elect Duterte is you have to read his heart and you will know who he is. Not the media or what people said, but delve in his deepest him and you will know the man destined to change the country. 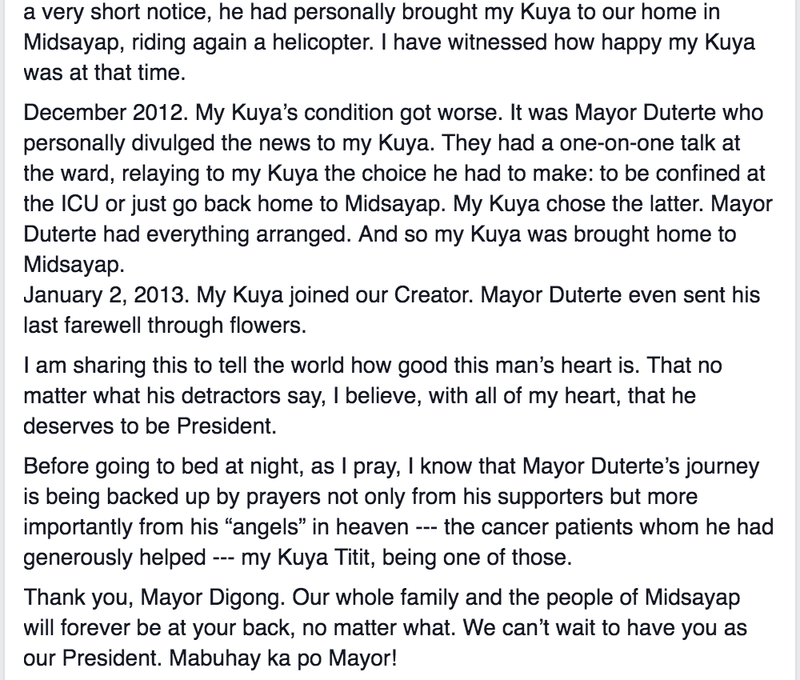 God bless Digong Duterte!